NO HOA FEES; NO FLOOD INSURANCE REQUIRED. Great single story 2 bedroom; 2 bath half/duplex. All appliances remain with unit. New wood blinds have just been installed. Unit has been painted, wood laminate flooring throughout unit. Ceramic tile in kitchen. Bedrooms have fans and good storage closets. The unit is also on the LSU bus route. 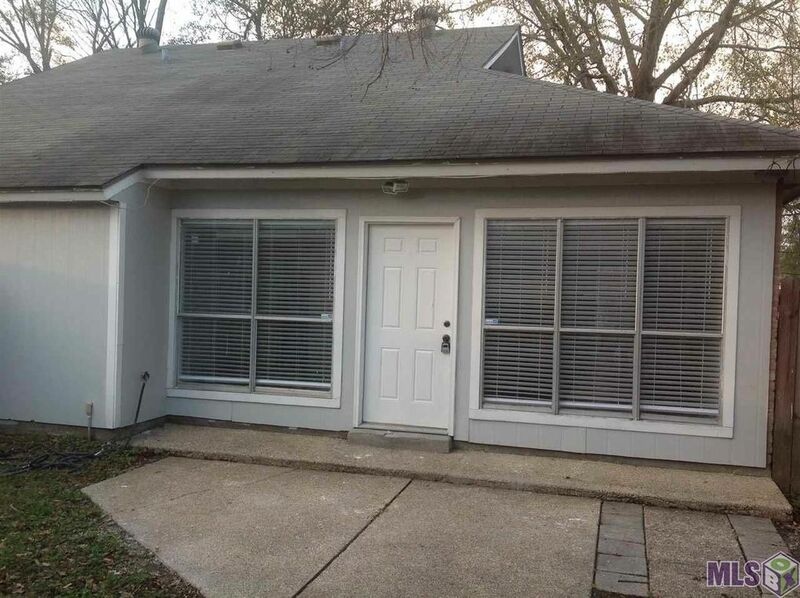 This duplex has a double covered carport in the back and a large outside storage room next to carport. The back yard also has a nice wood fence tree that produces a great shaded enclosed yard if your pet needs room to roam. There are also stores close by in walking distance. The unit faces Brightside Lane. Directions: Nicholson Dr. to Brightsiide View; take a left on Brightside view; turn right at the first street. Unit is located halfway down on the right.